Explore Ancient Rome with us on our immersive Colosseum Tour, where we'll uncover the violence at the heart of gladiator combat in the world's most iconic amphitheatre. 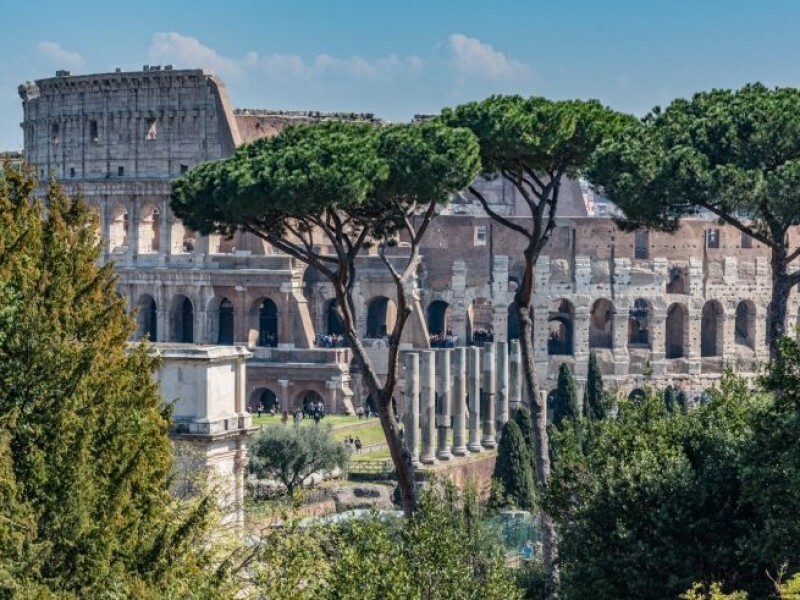 Wander through the spectacular archaeological sites of the Roman Forum and Palatine Hill - areas rich with roads, temples, basilicas and villas brought to light from centuries of excavations. Discover who the gladiators were; learn about the various phases of the ancient games and the elaborate scenery and stage settings that made the combats so famous in the Roman Empire - and even how they were used as political propaganda. 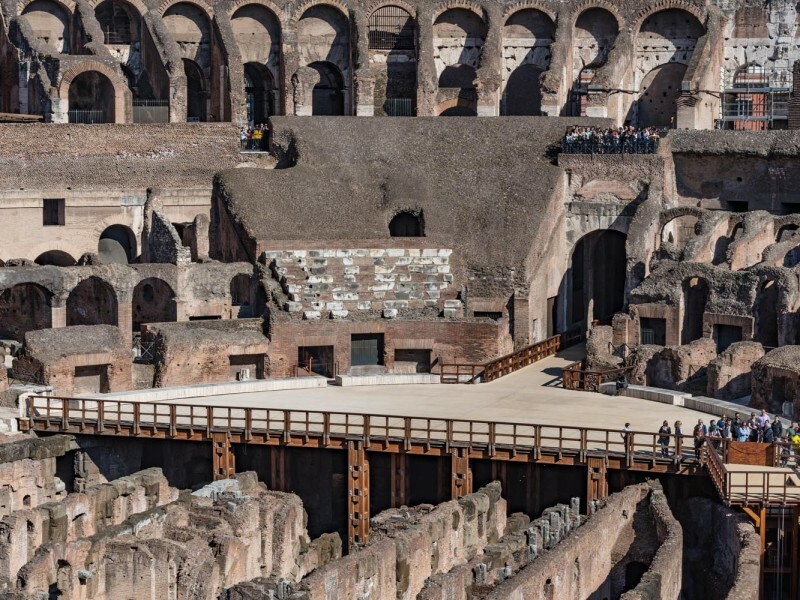 Admire the impressive arches of the Colosseum and venture across the amphitheatre's numerous levels, discovering the state-of-the-art engineering and technology that the Romans deployed to make the games possible. 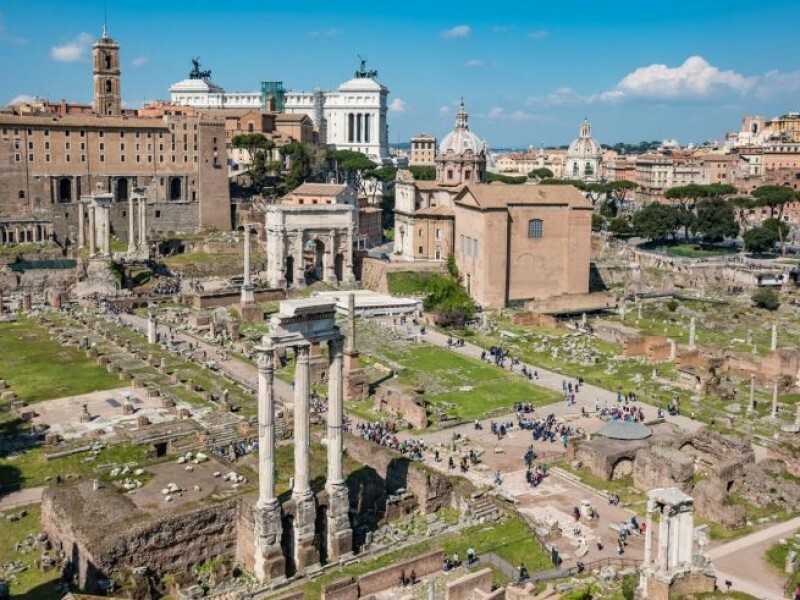 Learn about the political and religious life of the Roman Forum, enter the Senate and hear the dramatic stories of Julius Caesar, Cicero and the founding of the Empire at the hand of Augustus. Walk the Via Sacra, discover great temples and their rituals, gaze at the images sculpted in the arches of Triumph. 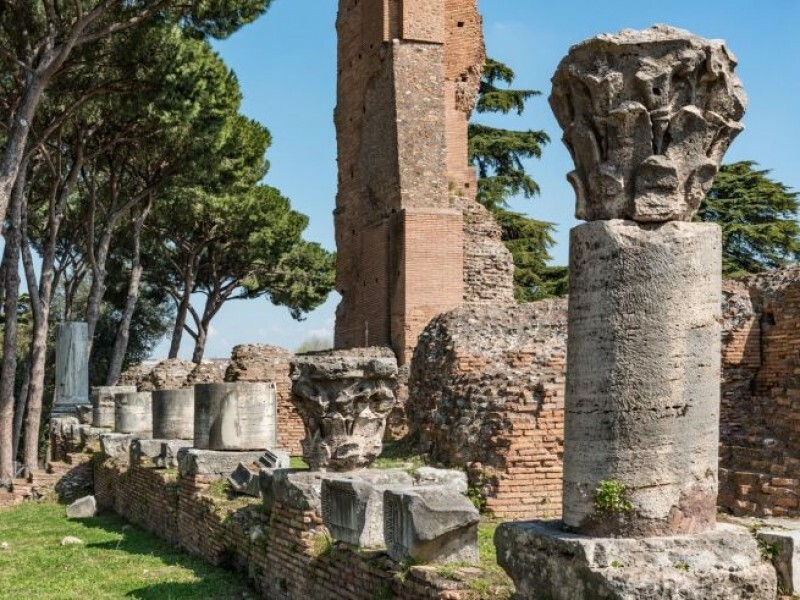 Explore the vast Palatine Hill, which won’t yet be bustling with tourists, with its spectacular buildings and the luxury of their mosaics and ancient decorations. Take in the breath-taking scenery from the Forum of Circus Maximus and the whole of the Eternal City. A walking tour of Rome is the perfect introduction to the city, covering the most important archaeological sites. 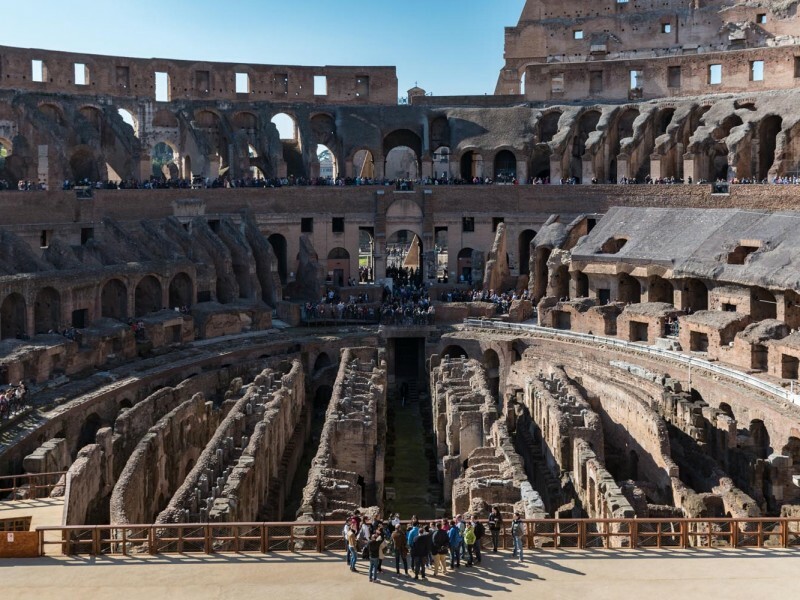 You’ll discover the truth behind the legends of the gladiators and the arena on your Colosseum tour, and gain new insight into this magnificent monument. Continuing on your Roman Forum tour, as you stroll through the atmospheric ruins, your expert guide will help you to understand the politics and power plays that animated the ancient city. Then there’s the peaceful Palatine Hill, where the history of Rome began with Romulus and Remus. 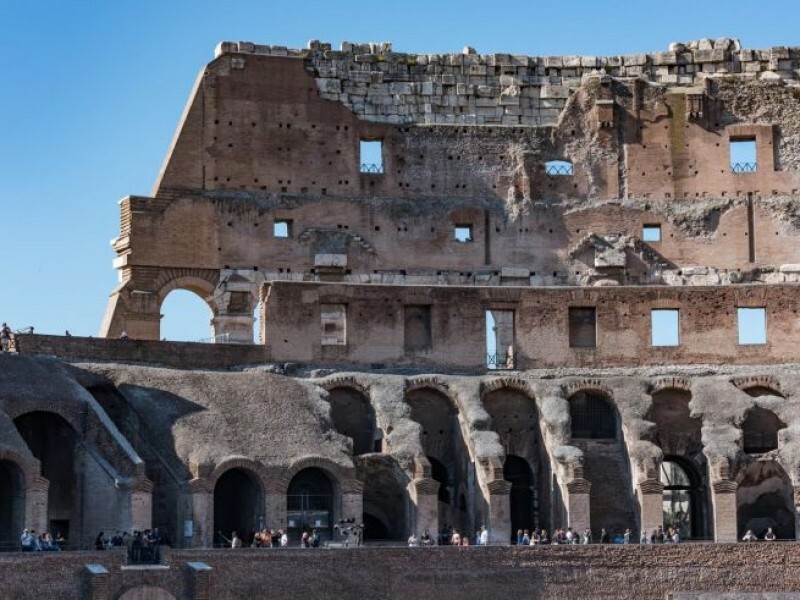 You'll visit the impressive remains of the imperial palaces and admire the stunning views of the Colosseum and the Roman Forum from the top of the hill. 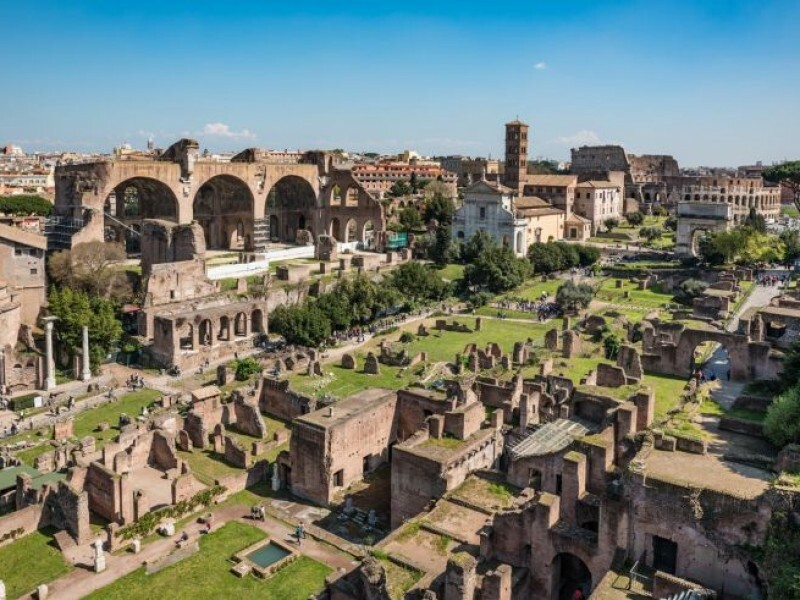 With an enthusiastic and knowledgeable guide to lead the way, you’ll end your in-depth tour of the Flavian Amphitheater, Forum and Palatine Hill with a much greater understanding and appreciation of Rome - a city that continues to amaze its visitors nearly three thousand years later. Our groups are small, with a maximum of 13 people, and we buy all our tickets in advance so you can skip the lines and spend more time exploring Rome, rather than waiting around. The ancient Colosseum is undoubtedly the most amazing monument in Rome, built on a vast scale in less than ten years. The spectacles that took place here were like nothing seen before or since, and they were designed to entertain not only the people of Rome, but also the emperor himself. The gladiatorial games are legendary, and on your tour of the Colosseum you’ll learn the difference between fact and fiction. But you’ll also discover that truth is often stranger than fiction, as you hear stories of wild animal hunts, mass executions, naval battles, and violent re-enactments of Greek myths that all took place in the arena. You’ll learn about everything that went on behind the scenes, including the amazing machinery that made the spectacles possible and so popular. For the rare opportunity to descend into the Colosseum’s Underground to see these machines and mechanisms up close, check out our Colosseum Underground Tour. There was more to the games than meets the eye, and the entertainment at the Colosseum also had an important political role. 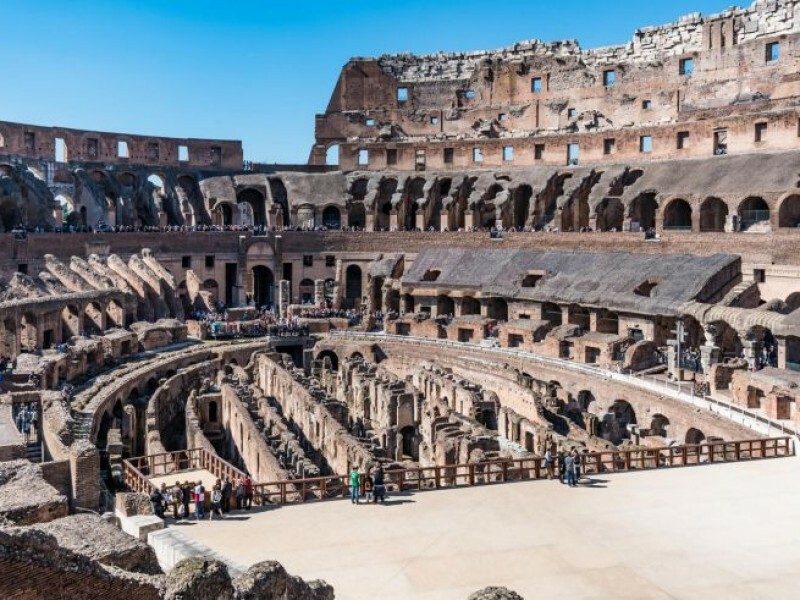 Your expert guide will help you to understand the Colosseum in context, explaining what the games meant not only for the slaves and gladiators who took part, but for the whole of ancient Rome. A Roman Forum group tour is an opportunity to learn about Roman history in the very place where the events took place. These atmospheric ruins were once the political heart of the ancient city. You begin in front of the Senate, the imposing building used for the meetings and heated debates of the Republic. In the gardens and the House of the Vestal Virgins you’ll learn about the extraordinary lives and deaths of the priestesses who were tasked with ensuring Rome's sacred flame remained forever lit. We'll also visit the basilica of Julia and the basilica of Maxentius, the most important courthouses of the ancient city. The famous public trials that took place in these basilicas contributed to the fame of great historical figures such as Cicero and Caesar, whose orations were highly praised by their contemporaries. Your walk through the Forum continues with a visit to the temples, as you explore the impressive ruins of the temples of Saturn and Castor and Pollux. Here you’ll learn about the Roman gods and the early days of Christianity, which often overlapped in unexpected ways - as you’ll see at the temple of Antoninus and Faustina, an ancient Roman temple that was transformed into a Catholic church. 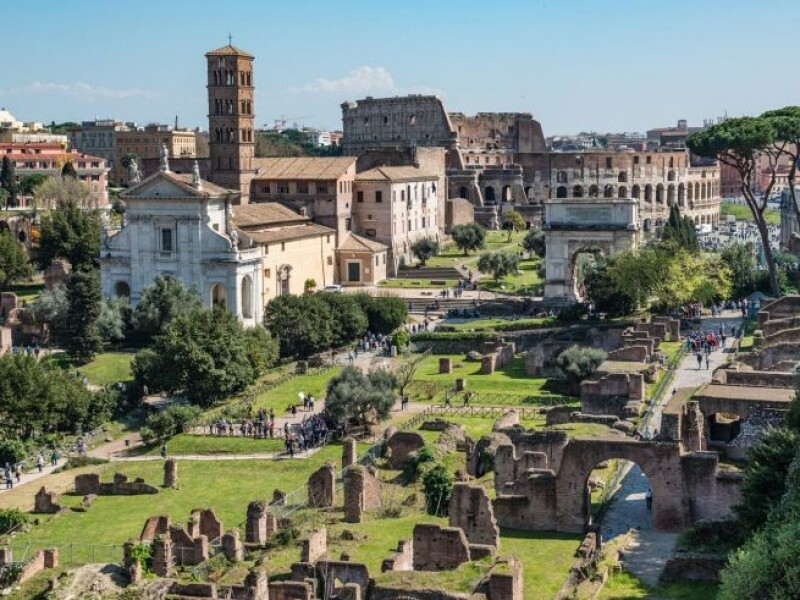 On your group tour of Rome you’ll also walk along one of the most important Roman roads of all, the Via Sacra, where you can still see the wheel-ruts of the carriages that passed over its flagstones for centuries. Often overlooked by other tour companies, the Palatine Hill is one of the most beautiful parts of the ancient city. It’s also the oldes: according to legend, this was the place where the young and abandoned Romulus and Remulus were discovered by a she-wolf, and where Romulus eventually founded the city of Rome. For centuries it was the most desirable part of Rome, as the lush hill offers stunning views of the city. The villas of the Roman aristocracy were later replaced by the enormous, luxurious villas of the emperors. On your Palatine tour you’ll explore the vast Flavian Palace, the Baths of Septimius Severus, and the Stadium of Domitian. These ruins are impressive in their own right, with their colonnades and mosaics, but hearing about the excesses the emperors indulged in here will give you a whole new perspective! The Palatine Hill is also the perfect place to escape the heat of the city. 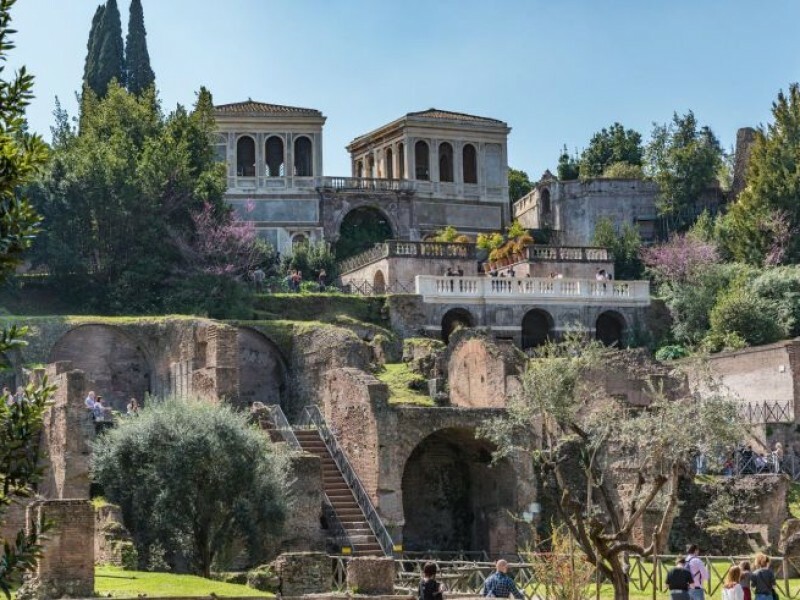 Take a relaxing stroll in the shady Farnese Gardens of Pope Paul III, where you’ll learn about Renaissance Rome and enjoy an unparalleled view of ancient Rome - this is sure to be one of the most memorable parts of your experience. Expert, fluent English-speaking guides who know and love the Ancient City. Near the entrance to the Ancient Roman Forum. Full details, including a map and photo, will be provided on booking. This is a walking tour through large archaeological sites in Rome with steps and uneven surfaces. We strongly recommend comfortable shoes and a bottle of water. Kathy was great. Very, very knowledgeable. Answered all of our questions. Really great. We missed this one. We booked 4 tours with Through Eternity and I got my papers mixed up and we went to the wrong meeting point. We did not have phone service so could not call or be called. Good thing is, we were able to make up half of the tour the next day and then we just purchased tickets and audio guides to do the Colosseum on our own. Thank you for working with us to make up the Forum and Palatine Hill. Federica was our guide on this also, and was superb!